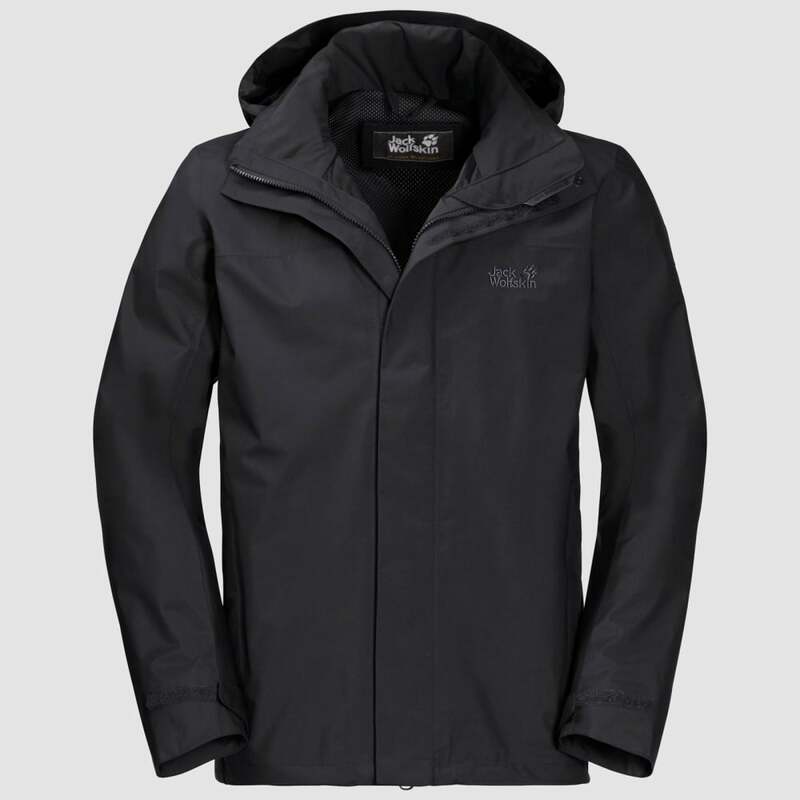 The Jack Wolfskin Mens Highland Jacket is a waterproof and breathable hiking jacket for weatherproof protection when walking or hiking in the great outdoors. The classic styling is well suited to everyday wear about town as it is on the hill. The Highland raincoat features Texapore 2L fabric for complete weatherproof protection. The fabric is windproof, highly breathable and waterproof to 10,000mm HH to ensure comfort and protection in all wet weather conditions. Features of the rain jacket include a light taffeta lining that is soft against the skin and absorbs moisture quickly, multiple pockets including 2 hip pockets and a secret pocket and a detachable adjustable hood. The hood can be adjusted for volume and field of vision and can be stashed in a pocket when not needed. Texapore 2L is a 2 layer waterproof, windproof and breathable membrane fabric from Jack Wolfskin. The Texapore membrane is combined with an outer face fabric to provide durability and further weather protection. Because of this 2 layer design, a lining is required to protect the waterproof internal layer, providing improved durability.